For the first time in any book or publication for the general public, I'm presenting all of the essential techniques involved in the Evelyn Wood reading and learning system. • How to raise reading speed by at least 50 percent in less than an hour of study and practice, using certain key techniques. 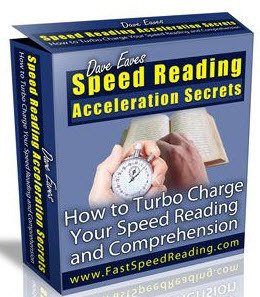 • How to at least double reading speed, with increased comprehension, after one week. • How to reach the stratosphere of speed reading—the 1,200-3,000-word-per-minute range—and perhaps go beyond. • How to improve concentration and attention span. • How to enhance analytical abilities, overall learning capacity, and memory. • Practical programs to raise performance levels—and grades—in all subjects, including the humanities, social sciences, physical sciences and mathematics. • Techniques to improve test-taking abilities. • Tips and strategies for increasing efficiency and achieving success in doing research and writing term papers.